It was a situation every basketball player dreams of. A do-or-die game, where the winner continues its journey in the competition and for the other team it means the end of the road. Other than a dream situation, it is also a high-pressure test. And a young Partizan NIS Belgrade team aced it on Wednesday night. In a fantastic basketball atmosphere that was reminiscent of the club’s glory days, Partizan defeated visiting Turk Telekom Ankara 87-72 and made it to the Top 16. Head coach Andrea Trinchieri called it "a night of effort and sacrifice". It was also a blend of the energy the team got from its young players and some muscle and savvy from a couple of veterans who that led Partizan to this triumph. Twenty-three-year-old forward Rade Zagorac shined brightly on both ends of the floor. The EuroCup rookie had his best game in the competition, scoring a season-high 18 points on 3-for-4 two-point shooting and 2-for-4 from behind the arc, along with more team-highs of 5 assists and 4 steals. His back-to-back triples in the second quarter helped give the team a double-digit lead and control of the game that Partizan never relinquished. Zagorac was not the only 23-year old with a big role. Aleksej Nikolic set the tone from the get-go, hitting a pair of triples in the opening 60 seconds. 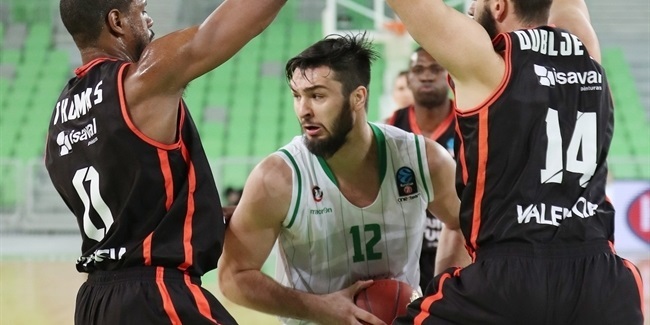 Amar Gagic managed to get a block, a steal and a pair of assists while hitting a triple early in the fourth quarter that killed the momentum Turk Telekom was trying to build. And there was Jock Landale, fighting for every ball. Equally important, however, was the contribution of the veterans. 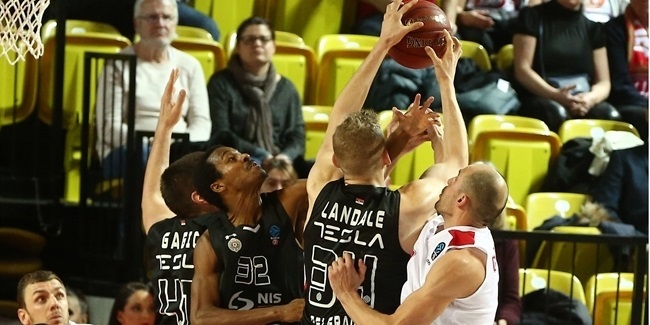 Riding the energy, and adding some of their own fire, center Djordje Gagic fought inside for every single one of his 13 points and 9 rebounds, while Bandja Sy played a team-high 30 minutes in orchestrating Partizan's best defensive effort of the season. And let’s not forget 32-year old forward Novica Velickovic, the leader of this squad, who performed like an old pro and found a way to neutralize Kenny Gabriel's suddenly hot-hand in the third quarter. 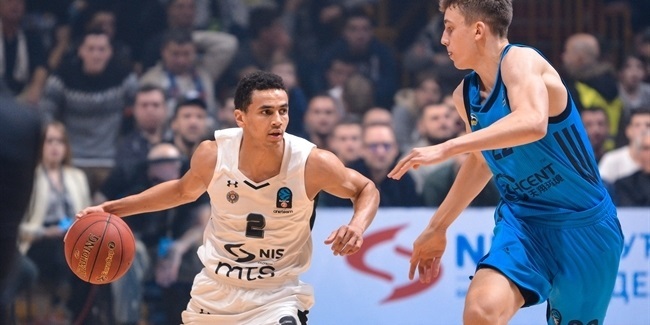 It all might have looked like an unlikely feat just a week ago, but the resurging Partizan perfectly used all its resources on Wednesday night and made the Top 16 its reality.